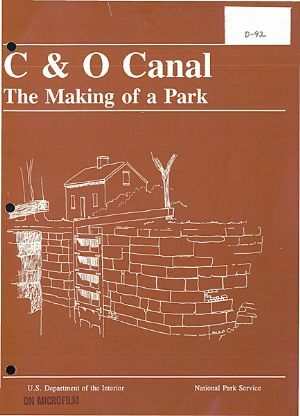 The 1971 act finally gave the National Park Service the authority and means —with subsequent appropriations — to enlarge its narrow canal right-of-way into a viable park. Land acquisition was the primary purpose of the legislation and became the first priority following its enactment. The act did not inaugurate Park Service real estate dealings along the canal, however. There had been some previous additions in the three decades since the railroad had conveyed the canal. There had also been moves to alienate some of what the Service had then acquired. Cumberland, it will be recalled, had tried to obtain the canal property within the city limits in 1941 (page 53). Once the Service became committed to the parkway concept, it was willing to relinquish portions of this property in exchange for other lands fulfilling its needs.